FedEx Van, DHL Van, Parcelforce van, UPS van (these will appear all over Europe). Police car Ambulance car, V.O.S.A car, Highways Agency car (these will only appear in the UK). Green Polizei car, Blue Polizei car, Notarzt car (these will only appear in Germany). 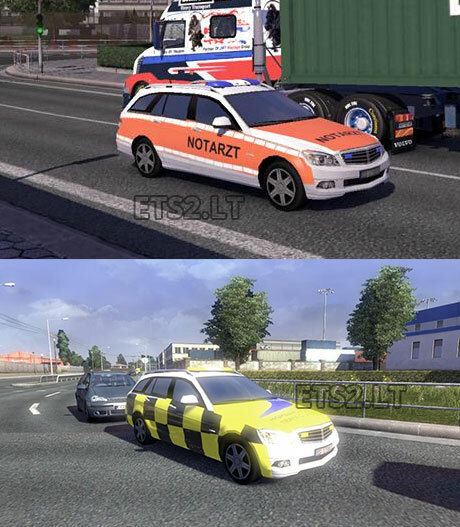 If you have my ETS2 UK Ai Emergency Vehicles mod you will have to remove it before you use this one.